Targeted to individuals with a high risk for cancer, this edgy and attention grabbing screening education campaign features a cheeky car oncology illustrative and punchy headlines and innuendos. Versioned for 10 different screenings, this mailer speaks to the importance of getting regular screenings while also grabbing attention visually with dynamically cropped images of a sports car. 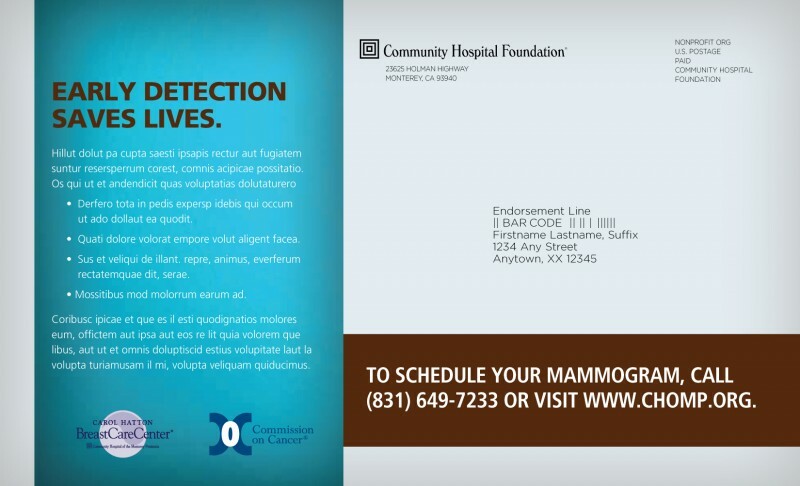 One of the most difficult parts of screening education is getting the information into the consumer's hand, this mailer is sure to get that attention while educating and engaging. No recycling for this mailer.